Ironically it was while carving pumpkins together on the haunted night of October 31st we first had the idea. Spin fire while dangling from a rope hundreds of feet above the ground, what could go wrong? 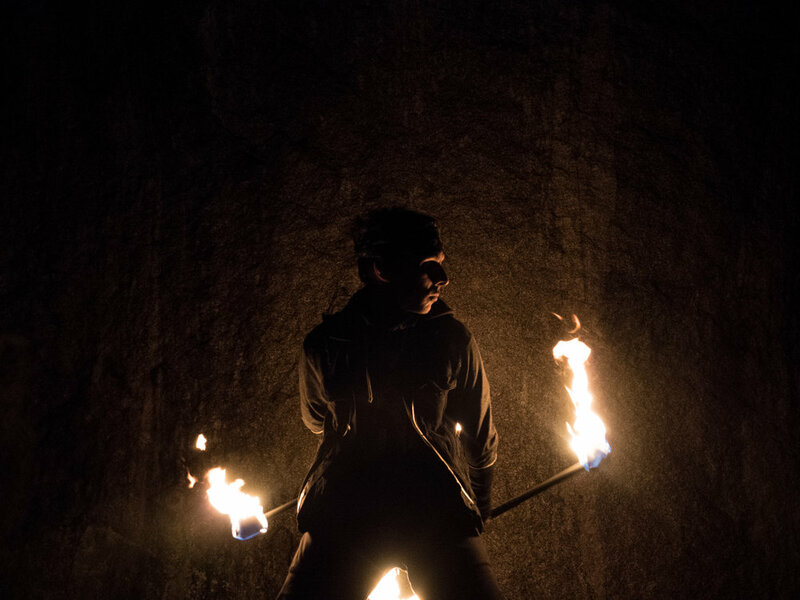 Goal: Produce a short film of the timeless yet evanescent spirit of fire. 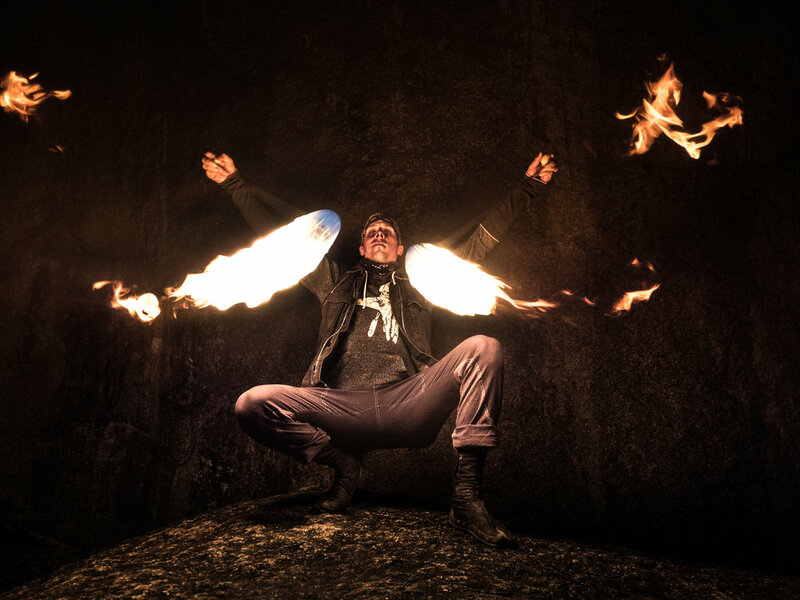 Two multitalented fire spinners will perform choreographed dance high up on cliff walls, pendulum through space, spin through trees so that we may share in those fleeting moments of existence we all seek. That perfect barrel caught once in a life, a day of endless powder, a moment in life we all experience yet keep chasing. The eternal, yet non-existent flame. We can see the light, feel the heat, yet cannot touch it. The film will be so bold as to chase that moment and capture the elusive flame while we gaze and wonder.